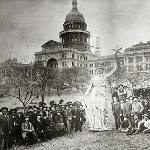 Devil's Dung; Texas History Cartoon. 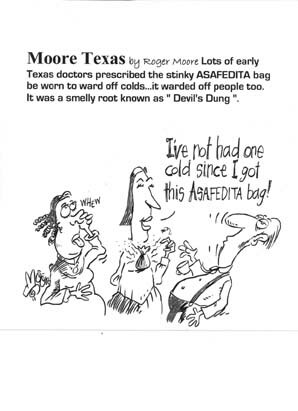 Lots of early Texas doctors prescribed the stinky ASAFEDITA bag be worn to ward off colds...it warded off people too. It was a smelly root know as "Devil's Dung".